supports all types of switched loads up to 20 A inductive. The DDRC-GRMS is a compact hotel room energy management system, purpose built for hotel room control solutions. 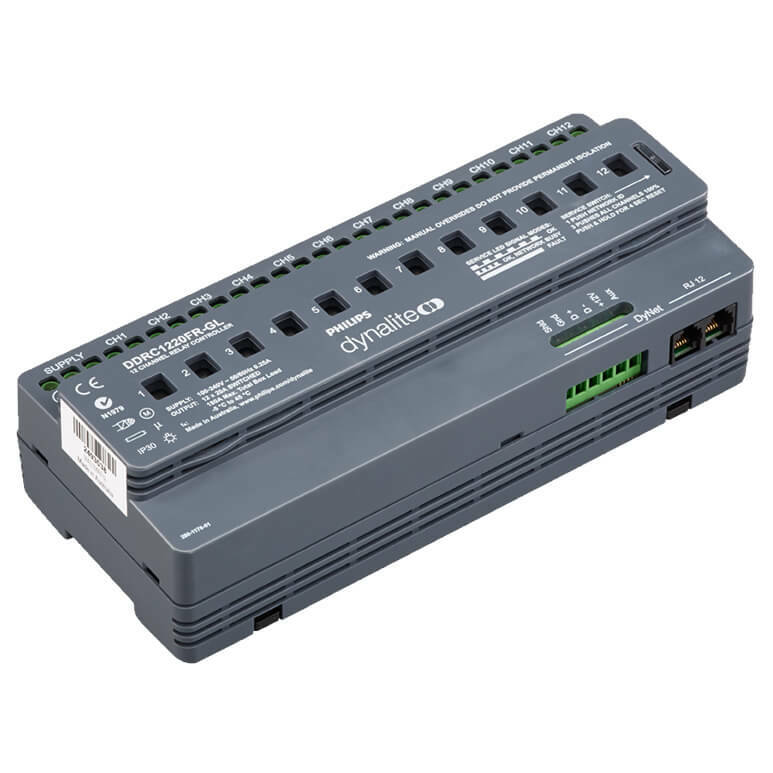 This dedicated controller is completely self-contained and requires no external power supply, relays or possessor. Dry contact inputs — The unit receives instructions from voltage-free button presses or a key card switch within the guest room. Pre-programmed — No programming required as the unit is supplied with complex functions such as ‘master on/off’, ‘room unoccupied’, ‘do not disturb’ or ‘make up room’ already configured. 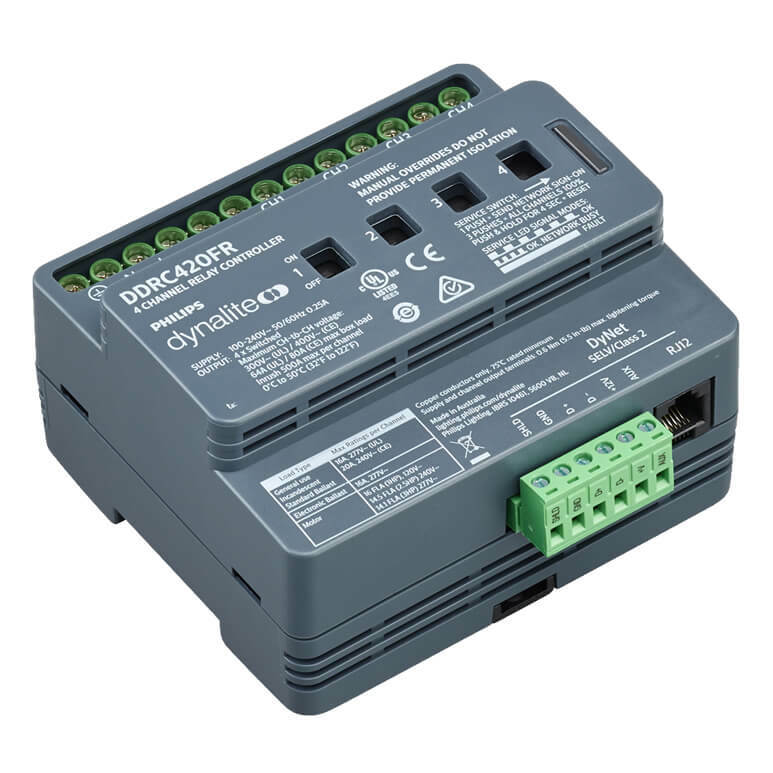 Built-in motor directional relays — Provides control of motorized blinds for a full automation solution. 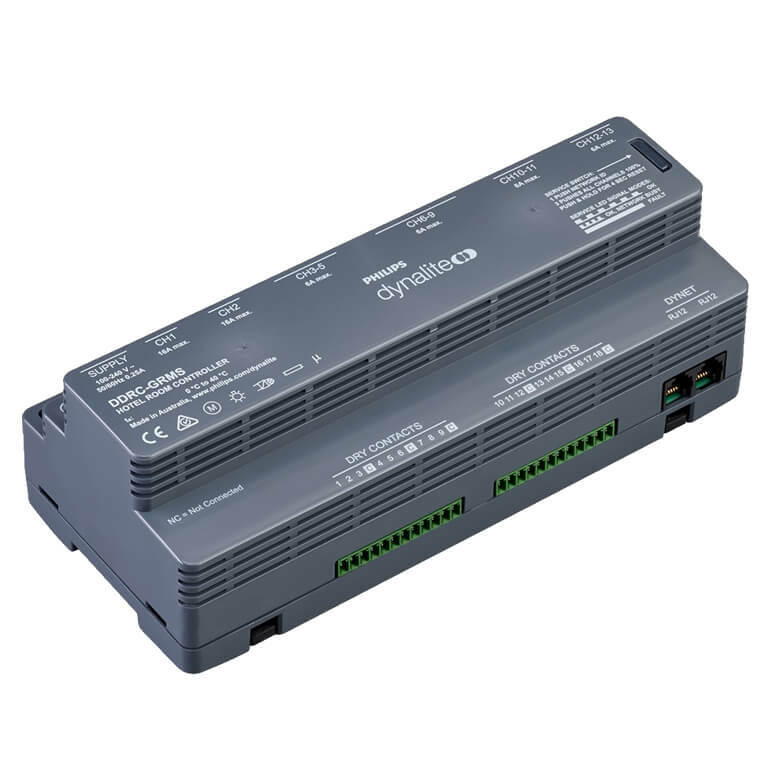 Two 16 A power relays — Enable a total energy management solution, reducing standby power consumption by powering GPOs and air conditioning systems only when required. Single box solution — Provides an economical total energy management solution for hotel guest rooms and suites. 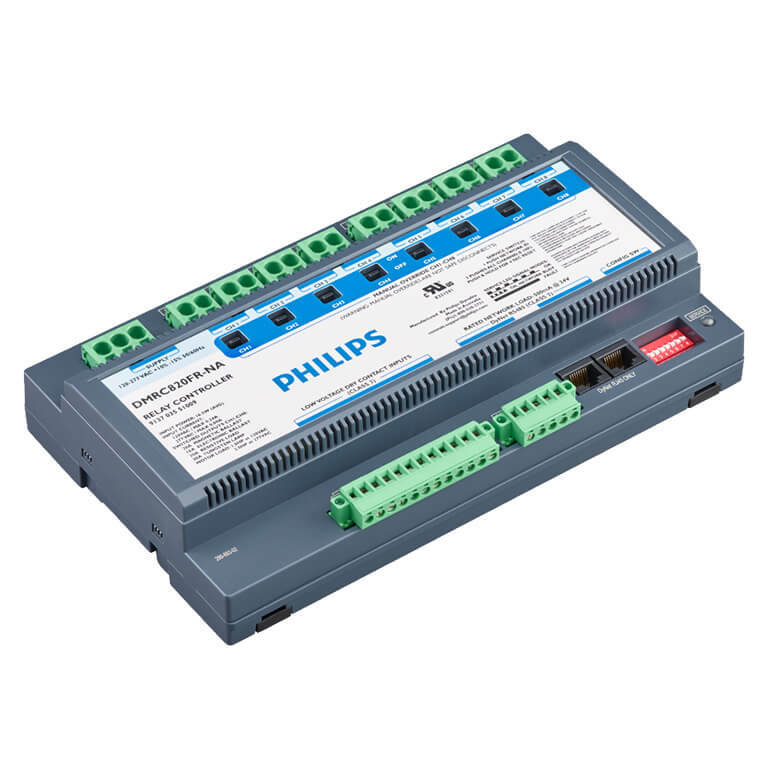 Robust control of switched loads The Philips DDRC820FR-NA provides control of any type of switched load. The eight channel device supports all types of switched loads up to 20 A inductive. 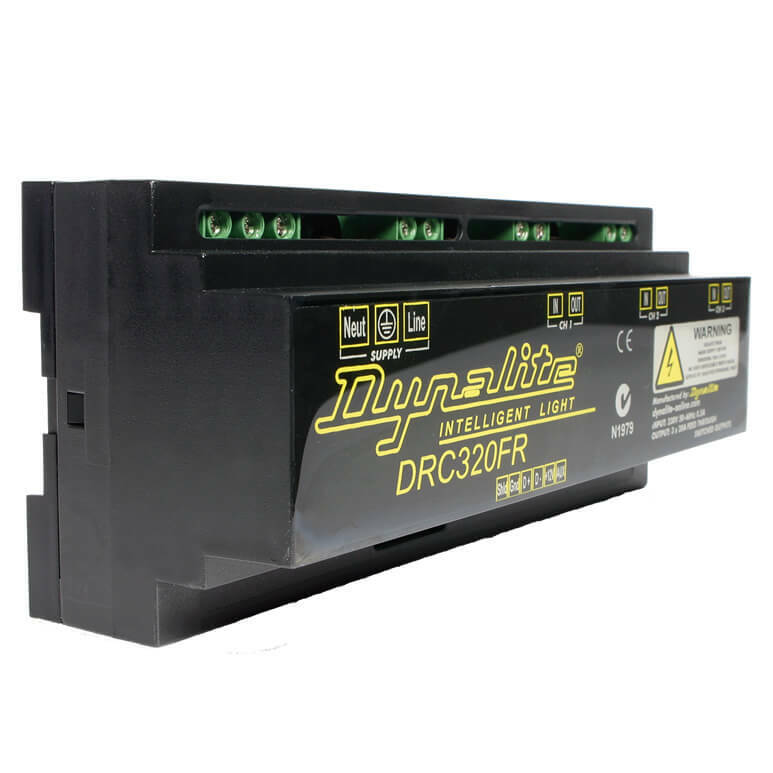 • Feed through power circuit design — Electrically equivalent to an 8 pole contactor, with the added advantage of each pole being separately controllable via the DyNet network. • Simple mounting — Mounts in a factory- supplied Type 1 enclosure. • Hardware override — Service override switch accessible from front panel. • Dry contact inputs — Eight, Class 2, non-isolated dry contact inputs are provided for remote switches. 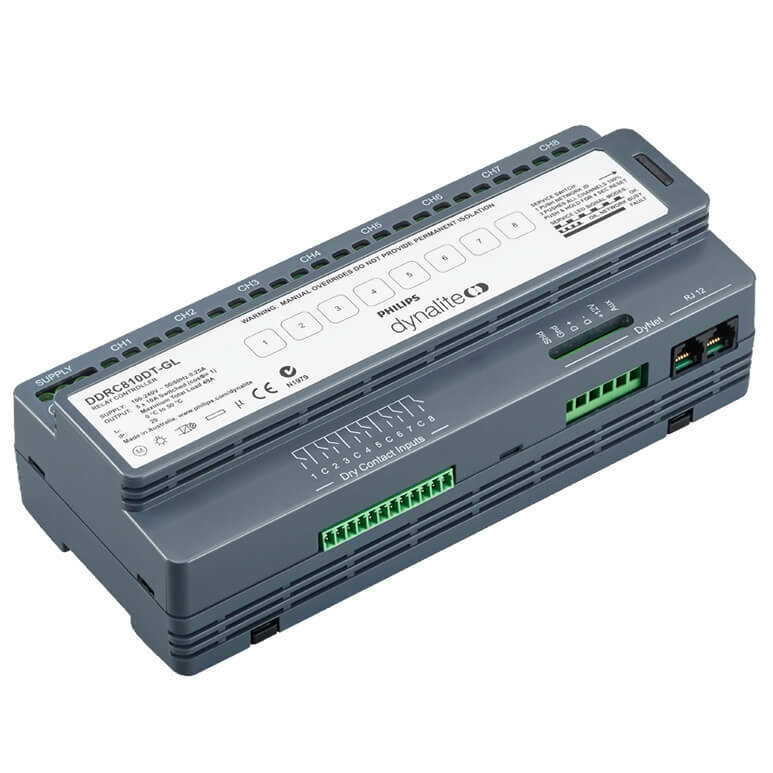 • Option available — A UL924 compliant load controller for the control of emergency lighting circuits is also available.